While LG V40 is an excellent phone with five cameras, like most Android devices, it’s no perfect as we think. In fact, there are many complaints from V40 users about problems on their phone. As a result, this post will go over some of the most common LG V40 problems and offers solutions to fix them. If you want to fix poor battery life on your LG V40 or your phone gets frozen, these are the steps you should take. A common problem that we heard from users is that apps could not take advantage of the entire 6.4-inch display. Some apps appear black bars at both the top and the bottom. The V40 has an 18:9 aspect ratio, which makes it easier to use on a big screen. But this also makes some apps or games appear black bars, similar to the black bars you usually see on a widescreen TV. The new LG V40 comes with a slew of security options from the traditional pin, password, pattern to more advanced options. 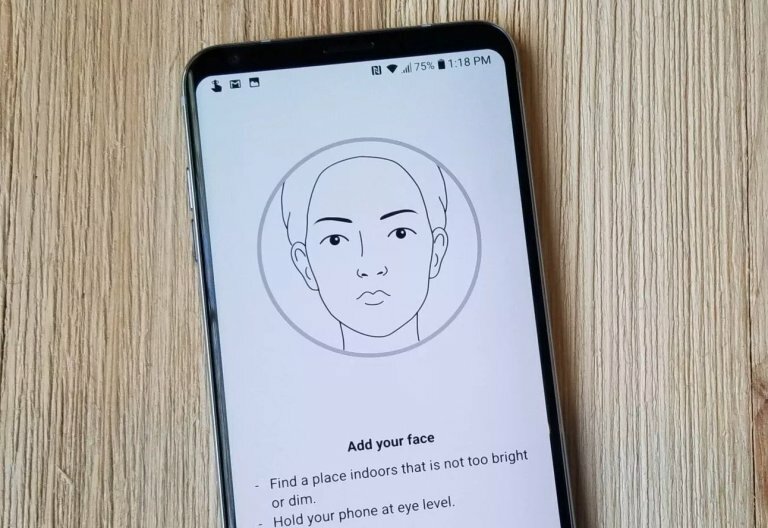 Apart from a fingerprint, LG V40 allows users to use VoicePrint and Face Print to unlock it. One is facial recognition, while the other will use your voice. We know you are not a fan of the voice unlock, but the Face Print unlock method is very fast. However, a problem arises when a picture can trick the Face Print unlock system. During the setup, you should choose “Advanced Mode” so that pictures will not be possible to fool the system. Although it makes your phone unlock slower, it’s more secure. Furthermore, you can also register your face multiple times to improve the accuracy. Registering a face more than once makes sure you will get the best experience. Before you get started, check the front cameras if they are clean as well as fingerprint-free. If you’re encountering problems with your fingerprint unlock, then you should delete all saved fingerprints and set them up again, especially if you wear a case after registering your finger. The angle might be changed, so it sometimes doesn’t work. You’d better follow the on-screen instructions during the setup, change angles, use the tip of your finger to get the best results. You should also save more than one finger, or even the same finger twice for the best success rate when you unlock your LG V40. Next, go to Settings > Display > Screen Resolution and reduce it to 1080p instead of Quad-HD resolution. A Quad-HD screen for daily tasks is redundant, and it will slow down your phone performance and eat up battery life faster. A fact that Samsung reduced the Galaxy S9, S9 Plus, Note 9 to 1080p resolution out of the box. So, you should do the same on your V40. Head to Settings > General > Smart Cleaning. 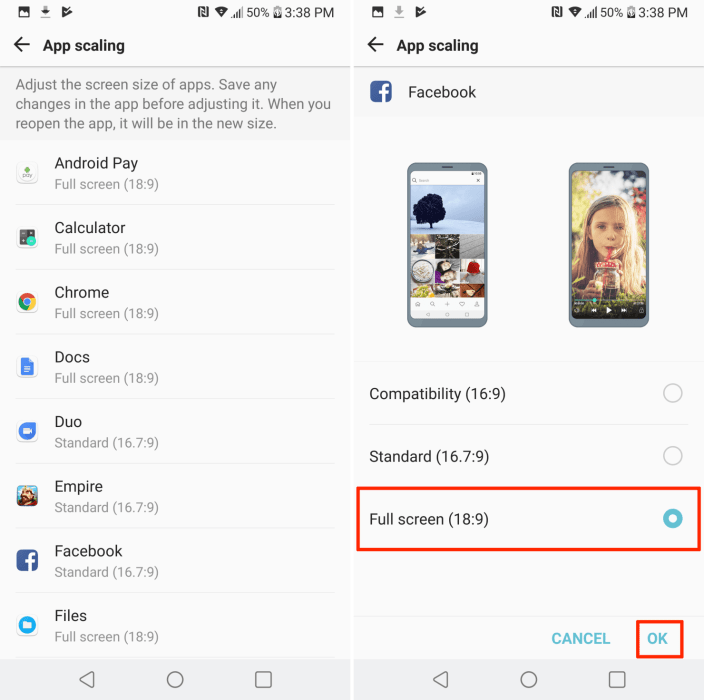 This feature will clean up your phone to deliver the best performance. After a few days, you should hit “optimize” and wait for the magic to happen. In Settings, you can hit the magnifying glass and type in “notch” or “display cutout” to hide the notch if you like. First, you should forget your Wi-Fi network and then re-enter its password. Just head to Settings > Networks > Wi-Fi, hold on your current internet connection and select forget network. Next, search for a Wi-Fi connection, enter the password for a fresh start. You can also unplug your home router for 2 minutes if possible and plug it back in. This hard reboot might solve a lot of pesky problems as well as performance issues. Otherwise, you should wait for an Android 9 Pie update from LG to improve Wi-Fi stability and speed enhancements or fix bugs. If your LG v40 isn’t seeing other Bluetooth devices or it does not connect to them, here are a few things you should do. First, forget Bluetooth connection to your accessory, then disable Bluetooth function on the phone. Next, reboot your LG V40, re-enable Bluetooth and reconnect to your Bluetooth accessories. You can also head to Settings > Apps > find “Bluetooth” from the list. Next, tap on “clear cache” section. Doing so will erase all pairings, and solve a lot of problems on your V40. No matter how big your problem is, the first recommendation is just a reboot. This way can fix almost small problems on your LG V40. To do so, simply press and hold the Power + Volume down button at the same time for 10 seconds. Your phone will then vibrate, power off, and restart again. This method even works in case your LG V40 completely gets frozen, the screen goes black, or unresponsive. Do it yourself. If you are dealing with crazy issues, the last resort is a factory data reset. However, you should only do this if everything else above fails. This method will erase everything on your phone, but you have to do this if you have no other choice. If possible, back up your data first before proceeding. Navigate to Settings > General > Backup & reset and tap on Reset again to get started.